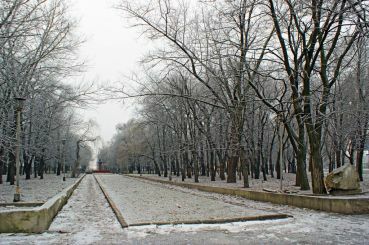 Park named after Mikhail Kalinin in Dnepropetrovsk was founded after the war in 1946. It was a wave of advocacy for the Soviet idea where heroes become party leaders, revolutionaries, and other persons of the proletariat. In the same spirit it was arranged and the park itself: a memorial bust of the hero, a rigorous background alleys and a semicircular wall of silence in honor of the fallen soldiers during World War II (there are even signs of reliable and last names). Later, several times Square reshape and restored. Now he is transformed into a neat alley of small paving tiles, surrounded on all sides by a low noise old trees. 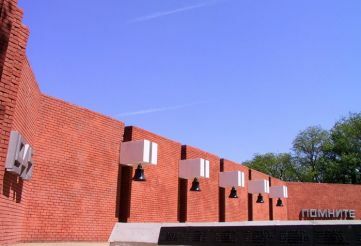 Also, there is stored and repaired memorial new lighting. According to archival data on the site of the present park during the 18th century was a cemetery. 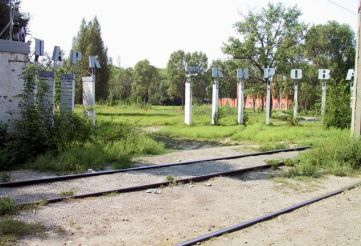 It was a remote area of ​​the city next to the cloth factory, which is now transformed into a railway station. Here was a wooden church, which burned down in 1937. By the time of World War II there were buried fallen soldiers. On the one hand the Soviet citizens, the opposite - the German. After the war, the cemetery of the 18th century was rapidly overgrown with trees and bushes, and most grave military decided to rebuild as a memorial. 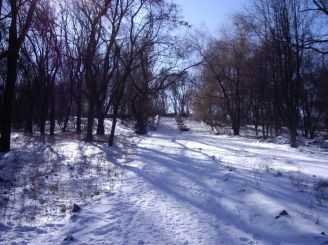 Most guidebooks route to the park is specified by the Kalinin Prospekt. But since the beginning of 2015 this avenue was renamed in honor of one of those killed during the Revolution Unity in February 2014. A native of Dnepropetrovsk Sergey Nigoyan lived in the area, so the memory is perpetuated in the name of the avenue. But unfortunately, not all pointers and guides had to change just as quickly. Many are oriented to the park entrance on the old name.